It took me three starts to finish this book, and the only reason I persevered is because my 2018 New Year’s Resolution was to finish the unfinished. Man Gone Down takes place in New York. The main character is an educated black man struggling to overcome his past and provide for his wife and children. As a white woman I feel like it’s really important for me to read books like this. This beautifully written novel provides a powerful message about discrimination, dignity, perseverance, marriage, and family. Trigger warnings for child abuse, drug and alcohol abuse, abandonment, and hate crimes. Although the story is compelling, I had a hard time connecting with the characters. The main character kept making strange decisions, which made it really hard to understand his motivations. The other characters felt one-dimensional. The writing is self-indulgent, confusing and repetitive. 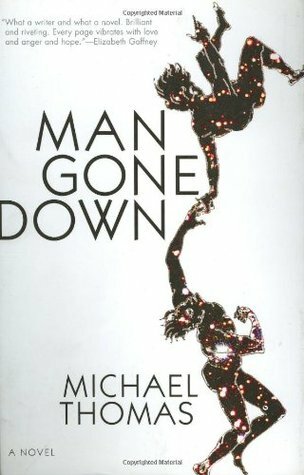 I’m not sure who would enjoy Man Gone Down, however, it did win the International DUBLIN Literary Award in 2009. From the Goodreads reviews I get the feeling that people either “love it or hate it”, so I say give it a try because Man Gone Down is an important book.